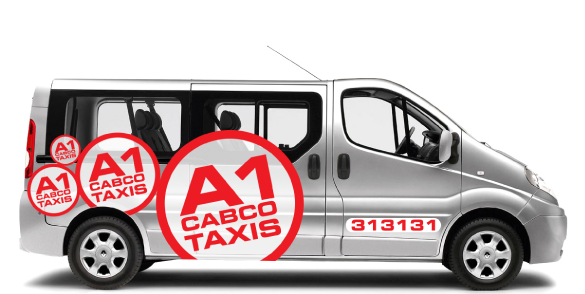 A1 Cabco Taxis wishes to offer you a professional, efficient, competitive service where you can choose from a fleet of vehicles to suit your needs. We can offer you a range of executive hire, multi-seater, saloon, estate and wheelchair accessible vehicles 24 hours per day, 7 days per week. You will be able to recognise our vehicles by the A1 Cabco Taxis logo on each of the vehicles doors and also by the uniform worn by the drivers. Our logo is displayed either on their white shirt or polo shirt and on their black jacket or body warmer. Full GPS Tracking is fitted in each of the vehicles so we can track the location of your vehicle at all times and also track the speed at which the vehicle travels. Our drivers are assessed frequently for their driving, personal and customer services skills and are encouraged to undergo NVQ training. All of our vehicles are fitted with taxi meters calibrated and checked to ensure standard costs per mile set by the relevant council. Cambridge City Council and South Cambridgeshire District Council strictly check each vehicle for road safety and ensure that all drivers undergo CRB/DBS checks, have regular medicals and are tested by the relevant council for their standard of driving. The drivers knowledge of the city and local area is also tested.